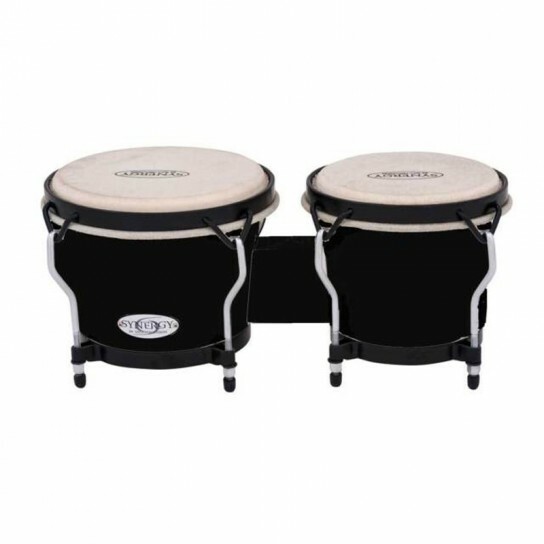 Bongos produce high tonal ranges. 6” & 7” heads. ABS plastic construction. Black Powder coated hardware. Traditional style hoops. Natural rawhide heads. 8 chrome tuning lugs. White finish.